Rendering of updated Firestone lab. “Where the rubber meets the road” is one of those rare iconic advertising slogans that takes on a life of its own and becomes integrated into everyday conversational language. That was the slogan of the Firestone Tire and Rubber Company. It is also a perfectly apt description of what happens every day at the the Jane A. and Raymond C. Firestone Research Laboratory Suite at the NC State College of Veterinary Medicine. The Firestones, scions of the founder of the Firestone company, Harvey S. Firestone, were responsible for making the first major donation to the College in 1983. It was used to establish the research lab bearing their names. That first gift has resulted in a legacy of progress and healing that continues to this day. “This is where we take pure scientific research and move it into the clinic,” said Kate Meurs, associate dean for research and graduate studies at the CVM. Through clinical trials and other work, the latest research findings and advances are applied to real-world clinical situations. This is where new concepts and forms of treatment are tested and proven, modified or sometimes discarded. It is the critical proving ground that demonstrates the practical effectiveness of potential therapies. Hundreds upon hundreds of studies, important academic papers and groundbreaking advancements in medicine have been born and come to fruition here. The laboratory is centrally located in the midst of the NC State Veterinary Hospital in order to have ready access to clinics. Its location in the older section of the campus and its modest trappings belies the importance of its role. 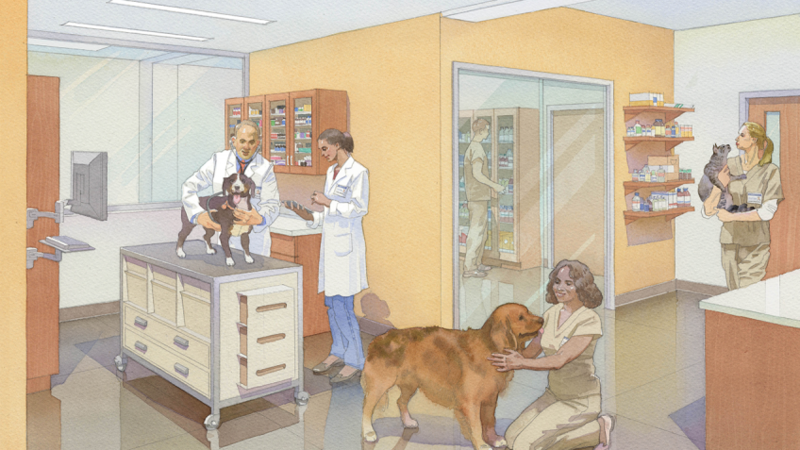 It’s a role that is as crucial to the advancement of veterinary medical science as it was the day the facility opened, although there is a need to modernize and upgrade the suite. Its cutting edge work proceeds expeditiously even as the roof begins to leak a bit and the laboratory space becomes more cramped. With your support, breakthrough discoveries in the Firestone labs can do even more to reach new frontiers in medicine. To understand the real significance of the remarkable body of work that has emanated the Firestone Lab, it’s best to look first to the world of scholarly journals. It’s safe to say that publications with titles like American Journal of Translational Research or The Annals of Pharmacotherapy are never going to appear on The New York Times bestseller list. But getting a research paper published in one of these periodicals represents the gold standard of academic accomplishment. Underlying the esoteric titles of these papers are years of study, critical thinking and hard work to unearth new precious nuggets of knowledge that advance science another step forward. In addition to the wealth of published academic papers resulting from the work being done in the Firestone Lab, a multitude of effective therapies have also emerged from the space. Duncan Lascelles, professor of small animal surgery and pain management. 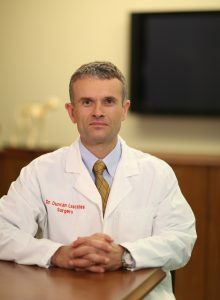 For example, take the work of Duncan Lascelles, professor of small animal surgery and pain management at the College, where he runs the Comparative Pain Research Program. Thanks to his passion for treating pain in animals, NC State is the global leader in veterinary pain management research. By spending painstaking hours in observation, analysis and testing, Lascelles has developed extraordinarily precise methods for measuring pain. Yet he and his team have even successfully applied these techniques to the measurement of pain in dogs and also cats, a particularly difficult species to evaluate given their ability to hide pain. That is something had never been accomplished before. The ability to measure pain makes effective treatment much more attainable. Lascelles is the go-to person for veterinary medicine peers and pharmaceutical companies seeking to treat pain in dogs and cats. His findings frequently provide insight into human medicine. Lascelles is now embarking on a clinical trial that is in another part of his wheelhouse: therapeutics for chronic pain in dogs. This one involves testing the efficacy of capsaicin, an active component of chili peppers, as a therapy for otherwise healthy dogs diagnosed with osteoarthritis in an elbow or limb joint. 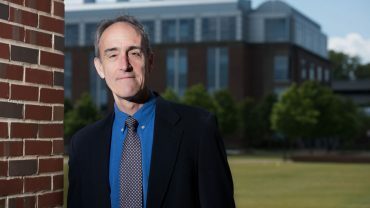 Another example is provided by Mark Papich, the Burroughs Wellcome Fund Professor of veterinary pharmacology and supervisor of the CVM’s Clinical Pharmacology Laboratory. Among his scores of accolades and accomplishments, he has authored or edited seven books on veterinary pharmacology and in 2008 was given the Pfizer Award for Research Excellence for outstanding achievement and dedication in the field of veterinary medicine. Papich said the Firestone Lab is unique at NC State because it focuses its research on companion animals rather than large animals, translational medicine or other research-related purposes. And his specific work in veterinary pharmacology makes NC State one of only a handful of academic institutions to focus on adapting drugs for use with companion and exotic animals. “Who else is going to do it?” Papich said, pointing out that large pharmaceutical companies and governmental agencies focus on human health and food animal concerns. Frequently what Papich does is take established drugs that have been approved primarily for human use and investigates if they can be adapted for use in dogs, cats and various exotic species. Many of the same health issues affect animals as well as humans, however such variables as the animal’s size, metabolism rate, absorption and differences in specific drug reactions must be taken into account. The work have not only led to the publication of more than 200 academic papers, but to collaborations with other universities, veterinary hospitals and institutions such as zoos, aquariums and animal sanctuaries. In addition to dogs and cats, Papich has tailored his efforts to the needs of animals as varied as sea urchins and frogs with arthritis to pandas, elephants and whales. The direct clinical impact of this diverse body of work is international in scope. The work of researchers like Lascelles, Papich and the many others who have advanced the frontiers of veterinary medicine from within the Firestone Research Laboratory over the years speaks for itself. When Jane and Raymond Firestone bequeathed the CVM with the first major gift in its history, they were investing in their belief in the future. It is a tribute to them that their act of faith has paid a multitude of dividends beyond what they or anyone else could have imagined. Yet the extraordinary history of the laboratory that bears their name is still being written every day. What realms of discovery may lie ahead will depend in part on the commitment of future visionary benefactors who will write their own names into the story of the laboratory where the rubber meets the road.